A short interview with Bandai Visual USA’s president Tatsunori Konno dealing with his perspective on the future of the overseas anime industry. 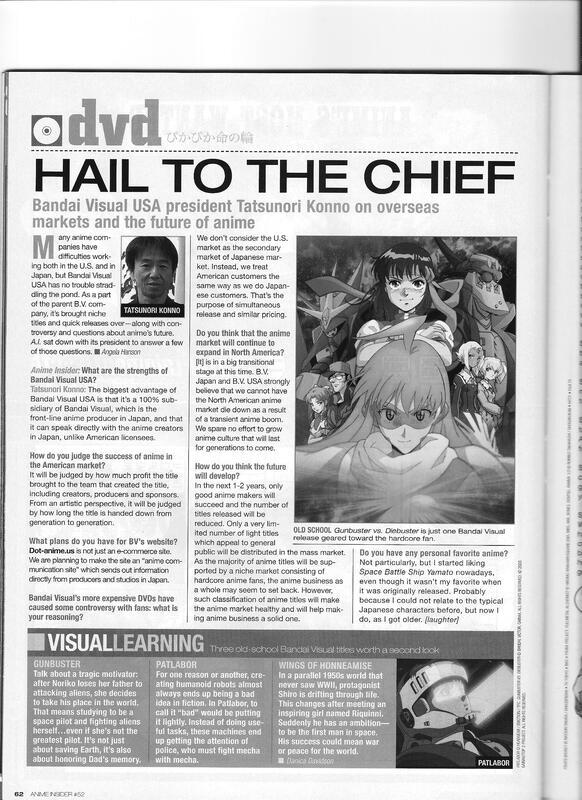 This entry was posted in Old Magazine Articles and tagged Anime, Borderline Plagarism for the Freedom of Information, Tatsunori Konno by torisunanohokori. Bookmark the permalink.